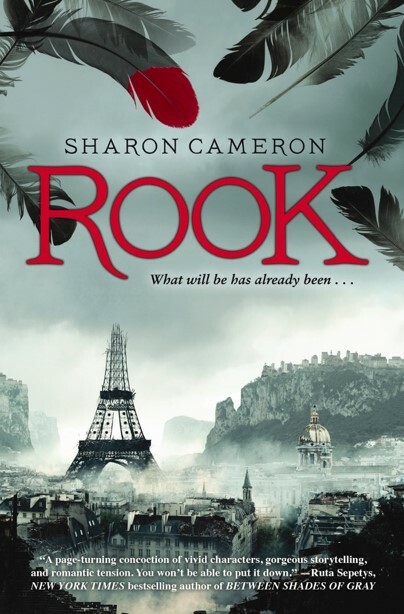 Sharon Cameron's new novel, Rook, published in April, inspired us to bring The Scarlet Pimpernel together with the retellings, reimaginings, and homages to that classic text. Sophia Bellamy is The Red Rook, a vigilante who rescues those condemned to the Razor in the Sunken City across the sea. Sharon Cameron's gender-swapped retelling of The Scarlet Pimpernel is set in a distant future where our current technology has failed and the development of new technology is forbidden. What I enjoyed most about this book were the interactions between Sophia and Rene. Rene is smart and dashing and always one step ahead of Sophia. Sophia, on the other hand, is brave and often brash. The two could make a good team; if only Sophia would recognize it. LeBlanc is creepy and utterly insane, which is always a good recipe for a villain. Rook was out April 2015. Review copy from Edelweiss. 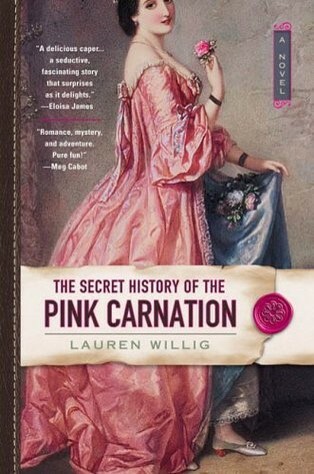 In this first book of the Pink Carnation Series Eloise travels to England to do research for her dissertation on English spies (specifically the flower spies: the Scarlet Pimpernel, Purple Gentian, and Pink Carnation) during the wars with France. Eloise gets a lucky break, access to the Purple Gentians papers, which propels the reader back in time. Amy de Balcourt and her cousin Jane leave England for France determined to join the League of the Purple Gentian, the heir of the Scarlet Pimpernel. What follows is the duel story of the spies in France and Eloise's research in England. 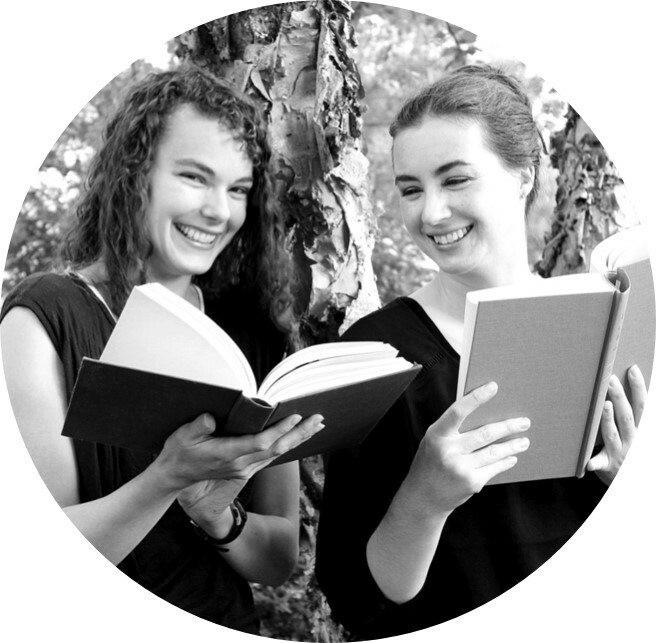 Lauren Willig has created an incredibly fun story full of daring and romance. I love the idea that more flower spies followed in the Scarlet Pimpernel's footsteps. The French Revolution is at its bloody height. French aristocrats fear for their lives, revolutionary leaders are furious that a mysterious man is spiriting away the traitors, and all of England is enamored of the Pimpernel including Lady Blakeney. As she gets pulled into the role of spy, she discovers the Pimpernel's secrets are closer than she imagined. I already knew the story of The Scarlet Pimpernel before I picked up the book, but I was surprised to find that the Pimpernel's identity remained a mystery through the majority of the book and that it was a love story. 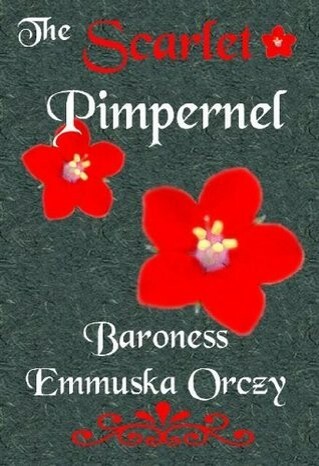 I really liked that Baroness Orczy tells the story mainly from Lady Blakeney's perspective and that we are along for her ride as she uncovers the Pimpernel's identity. Across a Star-Swept Sea is a gender-swapped retelling of The Scarlet Pimpernel that takes place in a post-apocalyptic world. Persis Blake is the Wild Poppy. For months she has been secretly traveling to Galatea from Albion to rescue the Galatea aristos and regs from the Galatean revolution's reign of terror. Like Persis herself, Diana Peterfreund deftly juggles a whole lot of issues--class structure, politics, human rights, lies and secrets, feminism, science and morality. And the story is great too. Peterfreund is a master at world-building. Her worlds are so intricate, interesting, and well-described. Her characters are smart and incredibly complex. 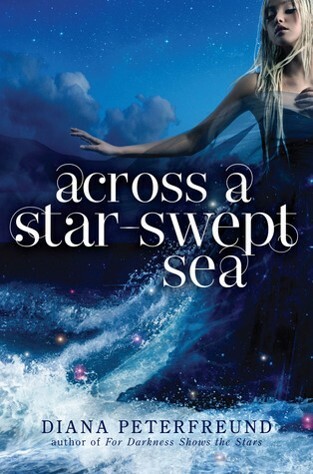 If you find yourself disillusioned by all mildly mediocre dystopias/ post-apocalyptic novels give Across a Star-Swept Sea and For Darkness Shows the Stars a try. On his first day in his new school, Jeff meets Kimberlee Schaffer and discovers he is the only one who can see her. Kimberlee needs Jeff's help to return the things she stole during her life so she can have a peaceful death. Jeff helps her return things, even recruiting some unlikely helpers, but they both discover that Kimberlee must help herself. This retelling of The Scarlet Pimpernel was unexpected. It took me a little while to see how the two stories were connected. 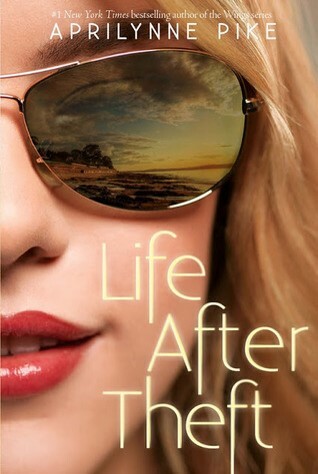 I felt Aprilynne Pike did an excellent job of using elements from the original to create a completely new story in Life After Theft. It was a fun, light read, that nevertheless, made me think. Rook, The Secret History of the Pink Carnation, and Across a Star-Swept Sea reviewed by JoLee. The Scarlet Pimpernel and Life After Theft reviewed by Paige.